More health specialists agree on the benefits of a regular Pilates practice. At Inspiration, our clients are continuously demonstrating an overall improvement in their physical health. Thanks to the quality of our medical professionals, who are also specialists in Pilates. Exercises focused on back support and joint mobility. 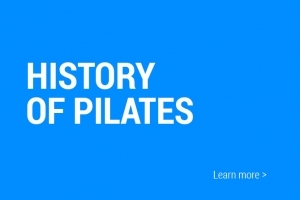 You can experience the benefits of Pilates right away. Whoever you are, be Pilates! 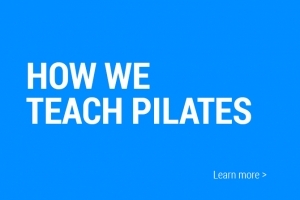 What training do the Pilates specialists at Inspiration have? At Clinique Inspiration, all our Pilates specialists are health professionals (physiotherapist, TRP, kinesologist) and holds of a Pilates certification. We are also the training center of the Peak Pilates system. Recognized worldwide, this incomparable training is unique in Quebec and is aimed at individuals seeking authentic, complete and progressive Pilates certification. The complete program includes 3 levels developed to be a progressive program. Each level is based on the previous level. Does Pilates make you lose weight? Pilates replacing traditional bodybuilding exercises, no longer require a sustained cardio-vascular effort. So Pilates on appliances will firm your silhouette by toning your muscles, while keeping them flexible and elongated. Improving your body awareness will certainly help you make decisions (calorie intake vs calorie burned), but it’s not the Pilates that will make you lose weight, but your new understanding of the body. Until what age can we practice Pilates on appliances? There is no age limit and no special morphology for practicing Pilates on appliances. At any age and no matter what your physical condition, Pilates will be good for you!s! If you have accident injuries, the SAAQ may reimburse your physiotherapy treatements.